Nutty Numbering: How Are House Addresses Determined? 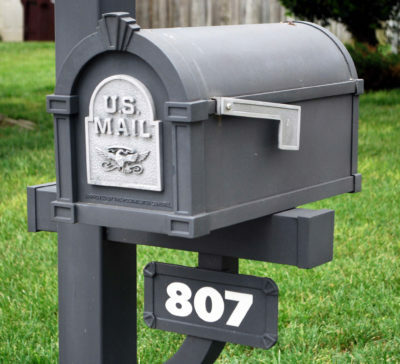 How are house address numbers chosen? At some point, we’ve all pointed out how scattered and unsystematic house numbers are. Addresses don’t increase at steady increments; three houses in the same neighborhood can share the same number; numbers suddenly switch from decreasing to increasing midway down a road. Why aren’t houses on a street just numbered 1, 2, 3, 4? It’s a complicated, confusing system that varies from area to area, but here are the basics of how house addresses are determined. House numbers increase by a certain amount based on their distance from the baseline (such as increasing by 1,000 for every mile or 5,280 for every mile). Blocks are divided into zones and given a digit for the hundreds place (such as the 500 zone). The final two digits are determined by how many individual properties (homes or businesses) can be established within that grid. Even and odd numbers are on opposite sides of the street. The rules used by the civil planning engineers varies depending on population, street configurations, and other factors. For instance, rural areas use different measurements for numbering than metropolitan areas, and some of the numbers might even correspond to the route they’re located on. Of course, this is a simplified explanation of some considerations behind assigning house numbers. The actual system will make your head spin. Car Basic 101: What is a hybrid, and how does it work?